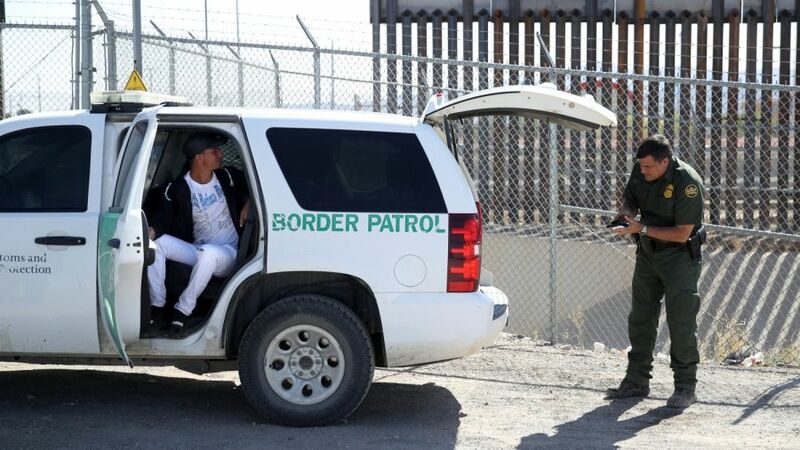 Fifty-seven illegal aliens were apprehended on April 12 after Customs and Border Protection (CBP) and Air and Marine Operations (AMO) thwarted a human smuggling operation in Texas, according to Breitbart News. This incident took place a little over two weeks after CBP Commissioner Kevin K. McAleenan addressed the humanitarian crisis at the border. McAleenan said CBP has resorted to releasing immigrants with future court dates—something that hasn’t happened in over a decade—because even ICE facilities can no longer handle the record-breaking influx of immigrants. The apprehensions were made by the Laredo Sector Border Patrol, about 40 miles away from the Southwest border. Forty illegal aliens were found in four pick-up trucks, hiding in the trucks’ beds and cabs, officials told Breitbart. Another 17 illegal aliens were found hiding in the brush after further searching. More than half of the apprehended were from Central America; less than 20 were from Mexico. According to officials, the migrants will be processed under Laredo Sector guidelines. McAleenan said during a press conference in El Paso, Texas, last month that two-thirds of the inflow of immigrants are family units from Central America, seeking asylum. The CBP Commissioner believes that exploited loopholes in the asylum system are to blame for the crisis at the border. Although the majority are family units claiming asylum, 85-90 percent of those cases will be denied, according to the commissioner. And regardless of their cases’ merit, they are almost always guaranteed release into the interior of the United States. For now, immigration officials are once again allowed to return asylum-seekers to Mexico to wait while their cases are processed. This comes after a lower court’s order to suspend the asylum policy was temporarily stopped by a federal appeals court on April 12. Civil liberties groups now must submit their arguments on why the policy should be placed on hold by April 16; and the government has until April 17 to argue why the policy should remain. The Migrant Protection Protocols (MPP) was enacted on Jan. 24 by the Trump Administration to prevent thousands of illegal aliens with meritless asylum claims from entering the country. However, on April 8, Judge Richard Seeborg of the San Francisco U.S. District suspended the policy as of April 12 (pdf). MMP has been argued to put immigrants at risk by by forcing their return to Mexico, a country which civil liberties groups say is riddled with crime. But the government says Seeborg’s ruling intensifies the humanitarian border crisis.